Fatah official says Israel should retain sovereignty over Western Wall - but Arabs must have control over Temple Mount. 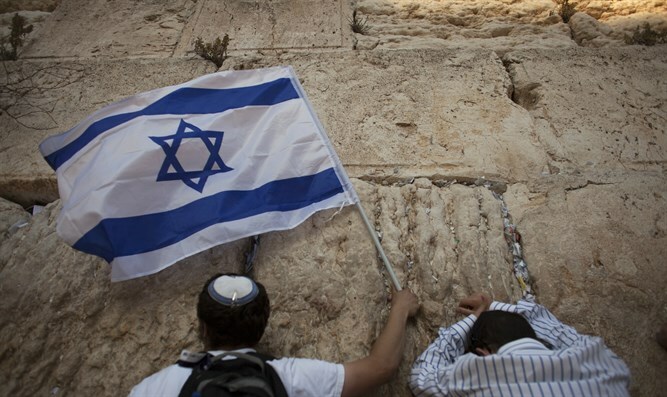 One of Judaism's holiest sites, the Western Wall in Jerusalem, must remain under "Jewish sovereignty," a senior Fatah official said on Saturday. "We understand that the wall... is sacred for Jews," Jibril Rajoub, a senior member of Palestinian Authority Chairman Mahmoud Abbas's Fatah, told Israel's Channel 2 television. "At the end of the day it must be under Jewish sovereignty, there is no doubt about it." Although this sounds like a compromise, it is a way to remove Jewish sovereignty from the holiest site for Jews, the Temple Mount. Speaking in Hebrew, Rajoub said the Al-Aqsa compound "is ours." The holiest site where Jews can pray, it is in the Old City of Jerusalem, which Israel liberated in the 1967 Six-Day War. Al-Aqsa Mosque was built on the Temple Mount during the 7th century by the Umayyad Caliphate to compete with Mecca. The Jewish connection to the site where both Holy Temples stood began thousands of years earlier. Gen. Moshe Dayan, in what he thought was a peace-promoting gesture in 1967, gave control of the Temple Mount to the Muslim Waqf. Although it is under Israeli sovereignty, the Waqf will not allow freedom of worship on the Temple Mount. Jews are attacked, shouted at and arrested for anything that resembles a prayer on the Temple Mount. Last month Israeli Prime Minister Binyamin Netanyahu said Jerusalem will always be the capital of the Jewish state. "The Temple Mount and the Western Wall will always remain under Israeli sovereignty," he said.